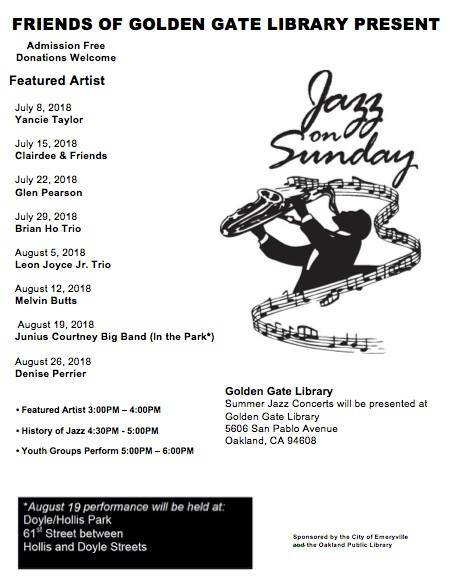 The Oakland Public Library presents a summer jazz, history and jam series on Sunday afternoons from July to August 2018. Each show will feature a headlining artist at 3 pm, followed by a “History of Jazz” discussion (4:30 pm), and a youth group performance (5 pm). 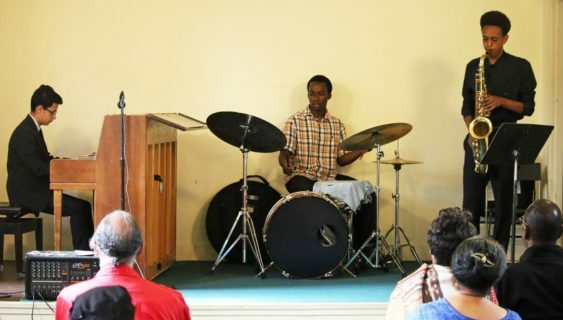 All of the shows will take place at the Golden Gate Branch, except for the August 19 performance held at Doyle/Hollis Park, on 61st St between Hollis and Doyle Streets.